What’s so ace about making your own films? One of this year's Shorts for Middle Ones is a brilliant wee story about two young boys who try to frighten an old man, with a very unpredictable outcome! 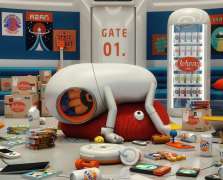 It's a special short film because without words, it manages to tell a very surprising tale. We wanted to find out more about how a film like this is made and what it takes to make your own mini movie. Here we interview filmmaker Alice D Cooper, the director of Ace, and ask her all about making movies, watching films, and how to make your own! Q. 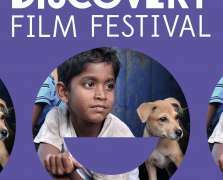 We love short films at Discovery Film Festival. Can you tell us a bit about yours? I made this film because I wanted to do a story without dialogue. I love words but this was very much an exercise in visual storytelling. It's about two bored city boys who find a way of distracting themselves by trying to frighten an old man in a mobility scooter. His response is anything but predictable. Q. What's your favourite thing about making films? The collaborative creative process is very productive. Shoots are fun but very hard work as usually the budget is very tight and most people work for the fun of it. But one of the best parts is watching an audience reacting to the film. "You can learn so much from the big name directors." Q. Did you always like films growing up? Yes but I am a story addict whether it's in books, on TV or in films. Q. 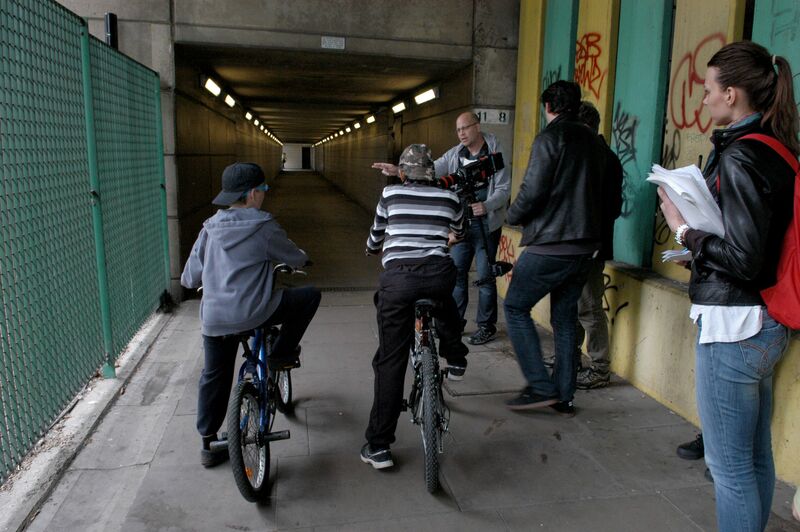 Have you got any tips for the budding filmmakers among us? Just make films. The more you do the more you learn. And watch films to analyse the editing and the pacing. You can learn so much from the big name directors. Also read books about filmmaking. Q. Have you got a favourite film? My favourite feature changes constantly. The last one I really enjoyed was Paddington. I see a lot of shorts at showcases and some are great. Some are just beautiful visual essays and I do prefer a beautifully shot film with a proper story and rounded characters. One of the classics I really like is a short called The Cutter featuring your local star Brian Cox. If you're aged 12+ and fancy trying your hand at filmmaking then get along to our Discovery Film School Taster on Sat 7 November, 14:00 - 16:00. 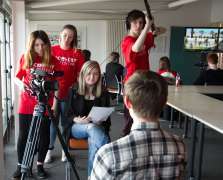 This free workshop will give you the chance to take part in snappy taster sessions with young filmmakers, learning about writing, shooting and editing from professional tutors. Book your place now. You can see Alice's film 'Ace' in our collection of Shorts for Middle Ones at #DiscoveryFilmFest on Sun 1 November and Sat 7 November. From paper planes to video games, street-dancers to astronauts, take a look at what's coming up at this year's Discovery Film Festival!